Brief: A0 poster. Very little limitations for theme and methods, some level of experimentation were expected during the proses. 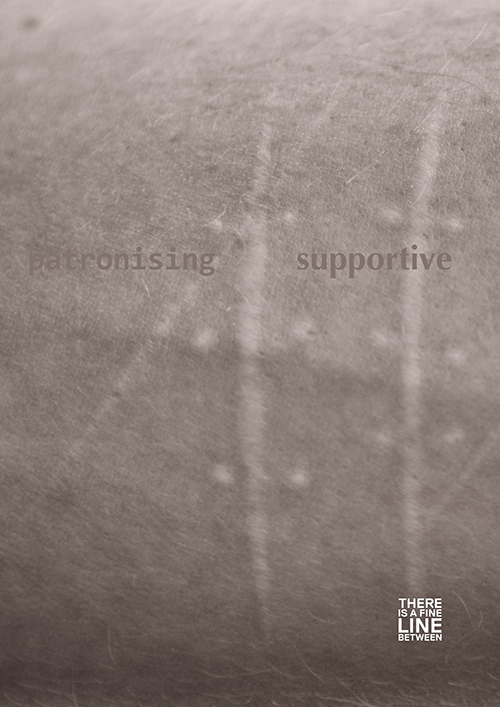 There is a fine line between being patronising and being supportive, but for the receiver the difference between them can be miles apart. The society’s most common solution for depression —and suicidal thoughts—, in nearly all circumstances be to medicate, tell people what they are doing wrong, how to think and what to do. This will often be understood as being patronising and might escalate the problem. Supportive: Optima, font from the Humanist Sans family. Subtle handwritten style and is perceived as to be warm, friendly and modern. Patronising: Consolas, a moonscape font suitable for programming environments. It is perceived a boring, cold and unimaginative font. 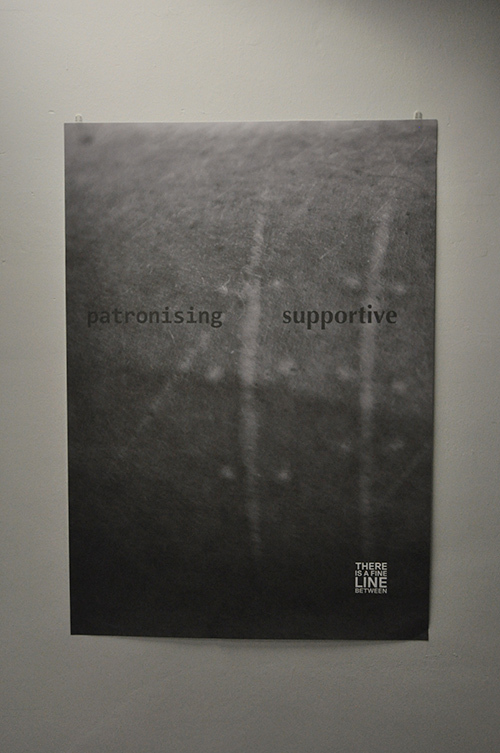 The poster was admitted to the 2013 ScanArt exhibition.